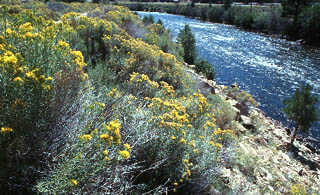 Description: Over one mile of year-round river consisting of long runs, riffles, and pocket water. Browns and rainbows in excess of 18 inches have been reported. Lightly rafted with an occasional kayak.